CREATING A COMMUNITY IN A CLASS BY ITSELF.  When construction is completed in 2020, The Spires at Berry College will be the premium CCRC offering in western Georgia. 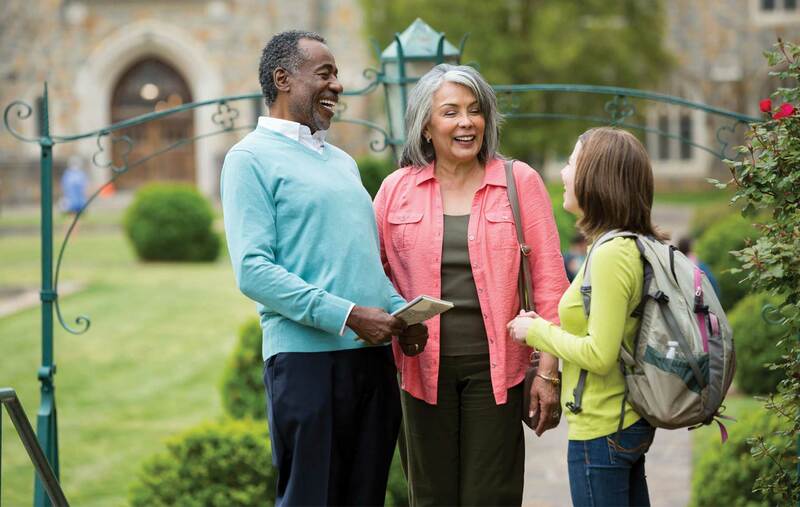 In a lakeside setting with a mountain view on a college campus, The Spires offers residents both the serenity of unspoiled wilderness and access to the abundant social, academic and spiritual resources of a thriving college campus. In its 100-year history, the college has fostered a close-knit population of alumni, faculty and staff. To activate that loyal base, we adopted a “pebble in a pond” strategy, focusing first on the innermost ring then rippling outward to embrace the wider community. Naming The Spires after the distinctive features that founder Martha Berry placed atop landmark campus buildings was, in part, a way of communicating the synergy the new community will share with the college to that inner ring of loyalists. But the larger goal was to channel the power of that existing entity in a new direction—to capture a wider audience. 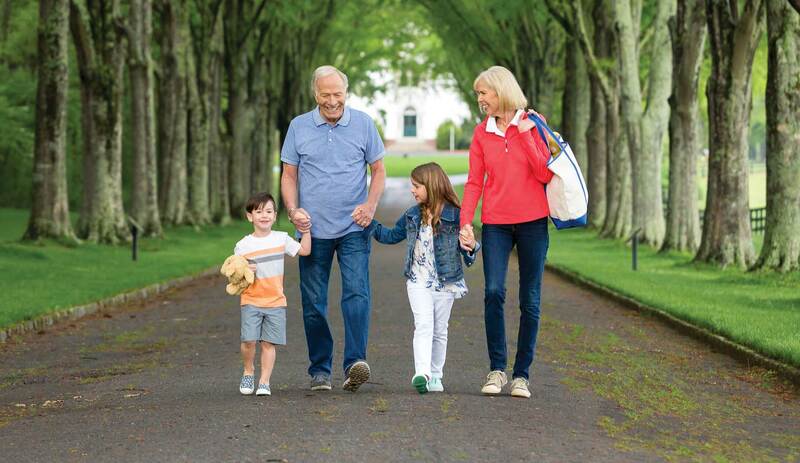 By tapping into the universal sense of discovery equated with the college experience, our campaign builds a bridge—equating life in retirement with the optimism of youth. 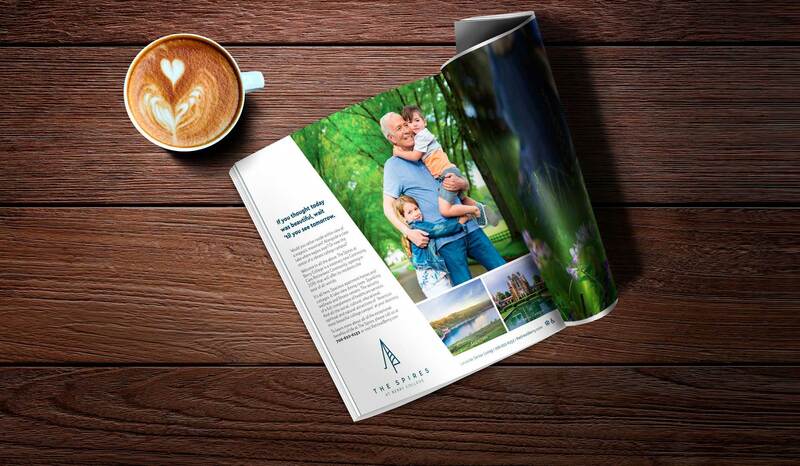 Using original photography that captures the nature and culture of campus life, we have successfully positioned retirement as a time, and The Spires as the place, for looking joyfully forward. The Spires campaign has, thus far, made quite a splash. To conjure a vision of a community not yet designed, LevLane created original photography that focused on the natural woodlands and verdant grounds of Berry College. Optimism about the future was identified early on in our qualitative research as a strong motivator for attracting interest in, and ultimately, depositors to The Spires. Campus life offers a significant advantage to residents of The Spires, so it figures prominently in our communications across traditional, digital and social media.